Rock stars excel at navigating a fast-changing industry. Learn what Madonna, Elvis, and Buddy Holly can teach sales professionals about how to be a social selling rock star. Behind a rock star’s glitter, leather, and guitars is a savvy professional who excels at navigating a fast-changing industry. Like rock and roll, the field of sales continues to rapidly evolve. Cold calls have gone the way of the eight-track. Content that tops the charts is customer-focused and not sales driven. Sellers must appeal to buyers differently than they did ten, five, or even two years ago. So how do rock stars reach the top, and how can you use these same tactics to increase your own social selling results? Three decades ago, the music of a young star named Madonna filled the dance clubs. As popular music tastes change, many artists drop off the radar. But Madonna has made a point of working with hip music producers throughout her career, ensuring she makes the most of the latest trends. Her constant evolution has made her the top solo artist in history. To be more than a one hit wonder, sales professionals need to constantly search for ways to stay relevant in the eyes of their prospects. Today, that means using the latest social selling techniques on LinkedIn to connect with buyers. This includes distinguishing yourself from other sales professionals by sharing thought leadership content, answering questions, and creating content. The defining characteristic of a rock star is they are always willing to try something new. During a break in a recording session, a gospel singer named Elvis Presley played a blues song with a rockabilly style. Producer Sam Phillips heard it and made Elvis start again when the tape was rolling. Three days later, “That’s All Right” hit the airwaves for the first time and calls flooded the radio station demanding to know more about man who would quickly become "the King of Rock and Roll." To find the “sound” that makes prospects want more, test different ways of sharing your knowledge; from status updates to SlideShare presentations, comments in groups, and posts on the LinkedIn publishing platform. Experiment further with different lengths, styles, and types of content. Then use the Who’s Viewed Your Profile feature to see what makes your ideal prospects click to learn more about you. As rock and roll become popular, a young musician named Buddy Holly went to an Elvis Presley show. Instantly seeing the potential, Buddy Holly started writing music in this new style. Soon he was opening for Elvis and released "That'll Be the Day", one of the most influential rock songs of all time. Though he didn’t create the new musical style, Buddy Holly’s quick adaptation ensured his place at the top of the charts and in music history. Look for sellers, especially in different industries, using innovative ways to reach their prospects. For example, sales professionals with high Social Selling Indexes (SSI) create 45% more opportunities per quarter than those who do not use social selling tools effectively. Identify what makes these sales pioneers so successful, and then quickly figure out how you can add your own spin to social selling. By moving fast, you will already be a skilled social seller when your competitors jump on the bandwagon. The greatest rock stars reach the top because they take chances other musicians do not. They adopt new sounds, experiment until they find an effective style, and move fast when they see an opportunity. Sales professionals have the opportunity to stand out in the same way. 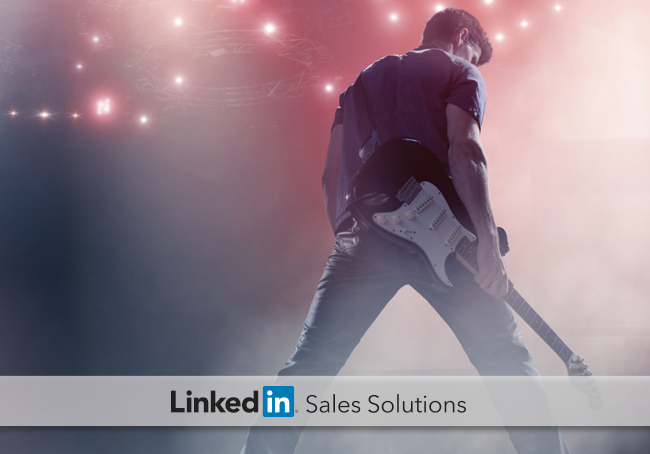 After training over 40,000 sales reps, social selling expert Jamie Shanks observes, “Only 20% of sales reps want to really, really turn themselves into rock stars, and would embrace new tools (like LinkedIn Publisher) to help do this." 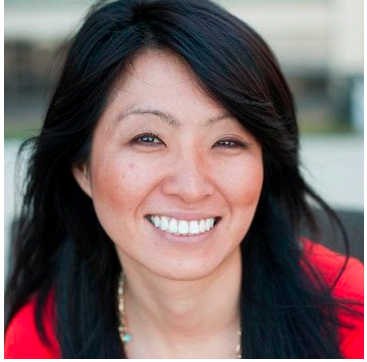 If you want to be a rock star sales professional, now is the time to get started. Identify the expertise you have to share, try different publishing styles until you find what appeals most to your prospects, and beat your competition by taking advantage of this social selling tactic.